On April 3, Guineans celebrate Second Republic Day. This public holiday commemorates the 1984 bloodless coup that established the so-called Second Republic. 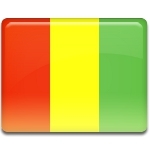 Following the collapse of the French Fourth Republic, Guinea proclaimed its independence in 1958. The country was ruled by Ahmed Sékou Touré, the leader of the Democratic Party of Guinea (PDG). Touré's regime was authoritarian: PDG was the only legal party in Guinea, and Touré was reelected unopposed to four consecutive presidential terms. On March 26, 1984, Touré died after a heart surgery. Colonels Lansana Conté and Diarra Traoré seized the opportunity and staged a coup that took place on April 3, 1984. Conté became the new president, while Traoré assumed the role of prime minister. The new government released political prisoners and encouraged political refugees to return home from their exile. Conté also made explicit the turn away from socialism. The anniversary of the coup was declared public holiday. The observation of Second Republic Day is largely orchestrated by the government of Guinea. The celebrations involve parades, political speeches, and a wreath-laying ceremony at a martyr's memorial in the city of Conakry.